Much previous research has been devoted to the myriad of health benefits provided by the microbes that thrive in our bellies. These microbes form a colony within the body known as a microbiome, which consists of trillions of microbes that flourish in the nose, esophagus, mouth and in the gastrointestinal tract. These microbes actually help us by assisting the body's immune response, helping to encourage the use of vitamins and nutrients and even helping to power the brain. In fact, we're only beginning to unravel the many ways in which these microbes help our bodies function. These beneficial microbes all function differently, depending on their location in the body, and their performance may even vary from person to person. From genetics to environmental factors, there are many reasons that these microbes will function differently between individuals. While a microbiome may not react exactly the same in every person, we do know that this community of microbes works to prevent the conditions that cause atherosclerosis. When an individual develops atherosclerosis, plaque and other foreign substances accumulate in the arteries, inhibiting blood flow. The decreased blood flow is the root cause of many heart conditions, including heart attacks. However, a diverse microbiome can promote the growth of healthy bacteria that aid blood flow, while also interfering with the production of the harmful bacteria that causes inflammation of the blood vessels. Now, new research sheds light on exactly how gut bacteria and heart health are related and which may also explain why diet and exercise are so important to our overall health. A recent study, conducted at the Department of Kinesiology at the San Francisco State University in California, took earlier research on gut bacteria and heart health a step further. The findings were published for the first time in the International Journal of Sport Nutrition and Exercise Metabolism. Ryan Durk and his team wanted to see how physical fitness and gut bacteria were related, so they studied 20 men and 17 women. Looking at how physical fitness affected cardiovascular health, the team subjected the test group to regular treadmill workouts. Additionally, they took measurements of each individual's body fat, using a "Bod Pod" device. The machine uses air displacement plethysmography to compare fat mass to lean muscle mass in an individual. Other factors that helped Durk's team obtain their findings consisted of food diaries and stool samples from each participant. The stool samples were especially helpful in determining gut health, because the ratio of firmicutes to bacteroides is considered a reliable method of measurement. Typically, an imbalance between these two types of bacteria indicates obesity, irritable bowel syndrome and other medical conditions relating to gastrointestinal health. When comparing all of the factors, the researchers discovered that those with a more active level of cardiovascular fitness also had higher firmicute to bacteroide ratios. The higher levels of firmicute were found to prevent the spread of harmful bacteria from the gut to other parts of the body. Mr. Durk added that the lining of the intestine was strengthened by the increased firmicutes, which helped to prevent the occurrence of leaky gut syndrome. Aside from the new connection linking exercise to gut health and heart health, a healthy balance of microflora in the digestive tract has been shown to support a healthy cardiovascular system in other ways. The European Heart Journal published the findings of a collaborative study conducted between the University of Nottingham and King’s College London. They found that poorer diversity in gut bacteria in women caused more prominent hardening of the arteries. In addition to finding that gut bacteria diversity plays a part in heart health, the research team also found that changing one's diet can significantly alter that balance. While the researchers caution against concluding that lower gut bacteria causes cardiovascular disease, they did affirm that there is an association between the two factors. 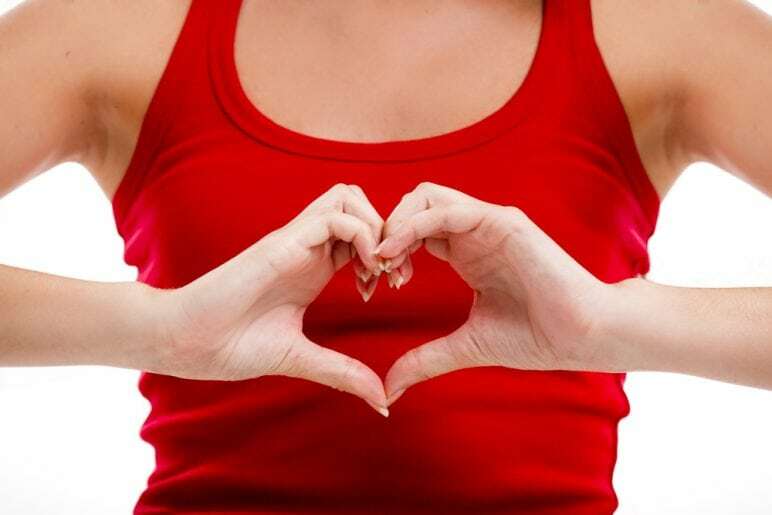 The relationship between gut bacteria and heart health isn't always a positive one. Some bacteria in the stomach actually increase the risk of having a stroke or a heart attack, according to Dr. Elizabeth Klodas. In addition to her work as a cardiologist, Dr. Klodas is the editor-in-chief of CardioSmart.org, which is a patient educational periodical published by the American College of Cardiology. Dr. Klodas posits that some gut bacteria convert the choline in red meat and eggs into trimethylamine N-oxide (TMAO). The compound has been linked to atherosclerotic cardiovascular disease (ACVD), which can cause vascular events to occur. She points out that TMAO is responsible for a higher likelihood of blood clots forming in the arteries. When this does occur, experiencing a heart attack or stroke is the most probable outcome. In supporting her statements, Dr. Klodas referred to a study of more than 2,000 patients. 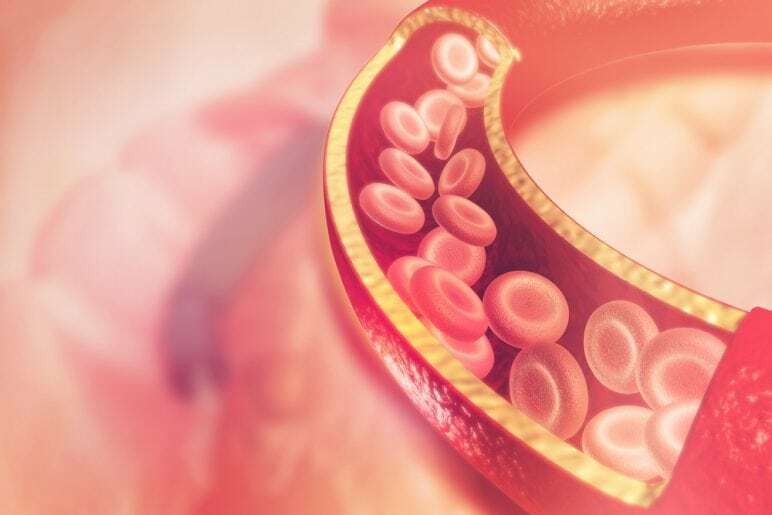 She said, even after other risk factors had been calculated, the higher TMAO counts still presented an increased risk of ACVD and blood clotting. She added that those with higher TMAO counts were four times more likely to die from a vascular event within the next five years. When examining the way gut bacteria interact with the rest of the body, we begin to understand why the foods we eat are so important. By eating healthier natural foods, we can give our digestive system the tools it needs to strengthen the rest of the body. We've always known that eating right makes us healthier, but now we're beginning to understand why it's so beneficial to our bodies.